I love this sweet image from the Artistic Outpost Paperboy stamp set. 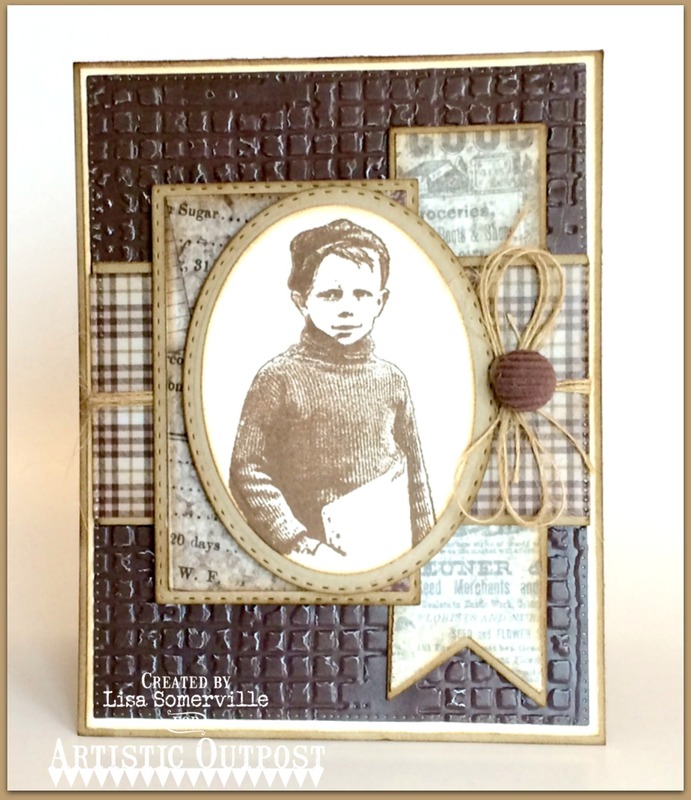 Inspired by this sketch, with a little tweaking, I paired the image with dies and pattern paper from Our Daily Bread Designs. This really caught my eye! I love this image-it reminds me of my dad, who was a paperboy in the 30's. I may have to get that set! Great card, one of my fav images! You really did him good! Such a cool monochromatic design. Love the rich texture. Thanks for playing along with Mojo Monday!